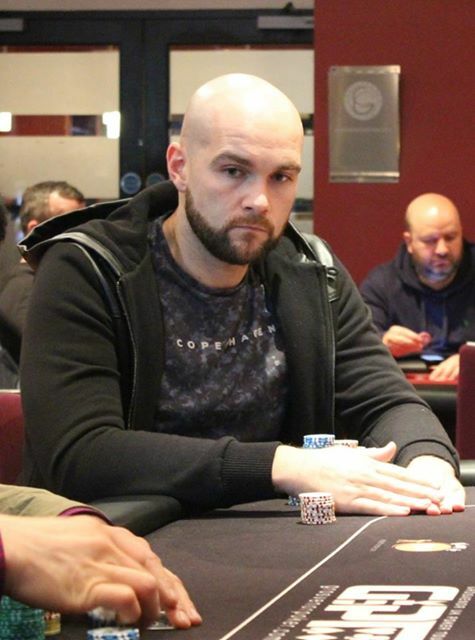 Scottish player Patrick Doonan is leading the way in the £100,000 guarantee GUKPT Edinburgh Main Event after bagging up 140,000 at the end of Day 1a. MainEventTravel.com now sponsors GUKPT’s all-in triangles so look out for them on the live stream from Edinburgh. We’re the tour’s Official Travel Partner so let us help you find a great hotel in Edinburgh, and the whole of the 2017 GUKPT tour. Doonan’s biggest cash to date was for £3,105 when he was runner-up at the Showdown at Genting Edinburgh in 2015. His live tournament winnings total more than £18k. There are 26 through to Day 2 including last year’s winner Tommy Le on 54,900 and GUKPT Manchester champion Andy “LogJam” Hills on 28,200. Thanks to winning the 2016 Passport promotion, Andy is now free rolling every leg of the 2017 GUKPT tour. Locals have turned out in force yesterday to support the UK’s premier tour. There were 70 entries in total, nearly 50% up on Day 1a last year and, as always in Edinburgh, the event has been played in great spirits. Among others competing in Edinburgh include Grosvenor-sponsored UK pro Jeff Kimber. There is a live stream running throughout the four-day event.